While many companies are still coming to grips with how they need to change their approach as a result of the rise and rise of social networks, one industry is well placed to capitalise on it right now. Well before Facebook was even a glint in Mark Zuckerberg’s eye, the Hospitality industry has been delivering excellent service, and responding to problems along the way. I am sure we all have our own horror hotel story, I bet also that for each one of these, we also have a story where the problem was acknowledged, fixed and we are upgraded. I’ll bet that the upgrade story is shared more than the horror one. Indeed, my most memorable upgrade story was at the Hyatt Hotel in Canberra. There were several issues at the hotel when I was staying there with my Wife, and the General Manager saw to them immediately, and upgraded us to the Presidential Suite. Needless to say, I no longer talk to people about what happened at the hotel, but I do rave about the Presidential Suite with its 12 rooms and baby grand piano. We’re all used to being able to complain to the front desk people directly in a hotel, and the staff are trained to acknowledge and handle our complaint, and resolve it. Back when I stayed at the Hyatt Canberra, there was no twitter to complain to the world about my issue, so I took it up directly with the General Manager. So as we fast forward several years, companies that unlike hotels do not have excellent customer service as part of their DNA are now scrambling to respond to complaints, now broadcast in real time around the globe. The fact that the hospitality industry has always been in the business of excellent customer service, when we add in social networking, they are the best positioned to adapt. 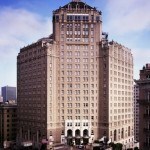 A recent example is the excellent service I experienced from the Intercontinental Mark Hopkins in San Francisco. Before I arrived, I started following their twitter stream @ICMarkHopkins to see what they were saying about the hotel and the city in general. I tweeted that I would be staying there that night, and received a couple of nice tweets in return. @ICMarkHopkins First time in SF so can you give me a room that shows off your wonderful city? Imagine my surprise then when I turned up to check in to learn that I had been upgraded to a fantastic suite, and they were also going to offer me free internet (“to help you tweet while you are here”). What a great example of a company and establishment already renowned for customer service also listening to their customers via social media and making a room night that much more enjoyable. @ICMarkHopkins Nice welcome to your city and the Mark Hopkins hotel. Upgraded to suite and free internet as a result of a tweet. Thankyou! I had a fantastic stay at the Mark Hopkins and I also tweeted about this blog post. This is indeed a good reason why companies that already “get” customer service and how to respond to feedback will do well with social media. 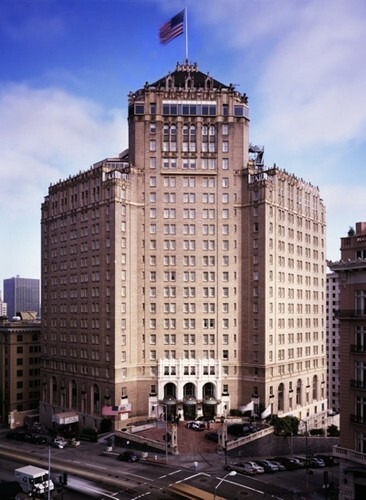 Thanks again to the staff at the Mark Hopkins – I had a wonderful stay in San Francisco – see some of my photos on Flickr. Thanks for sharing this. This is great insight on how social media can be an extension to existing structures in the company’s DNA (or processes) and not a completely new animal that needs to be tackled differently as prophecised by self-styled social media gurus out there. @BevJack Read about one of my other twitter case studies at http://t.co/0IJTObE – I have lots of these!